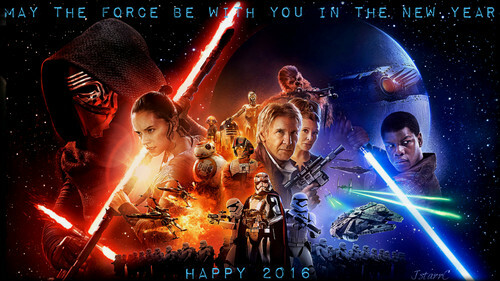 ~Happy New Year~. . HD Wallpaper and background images in the guerra nas estrelas club tagged: photo the force awakens star wars happy new year. This guerra nas estrelas wallpaper might contain show, concerto, and fonte.